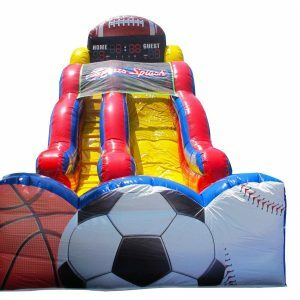 Rent our 24′ tall inflatable dual lane slide for your next water party! 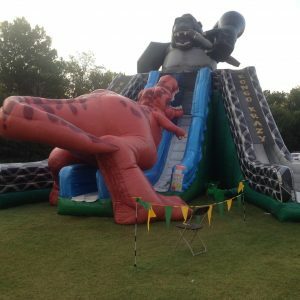 This dual lane slide has a 15 ft high platform you start from giving you additional excitement when sliding down this dry slide! 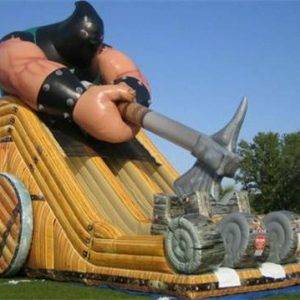 Have a ton of fun all year on this 24 ft inflatable slide. 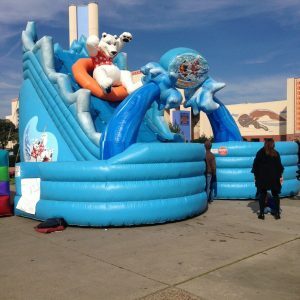 Whichever way this inflatable slide is huge amounts of fun and can oblige two sliders without a moment’s delay securely! 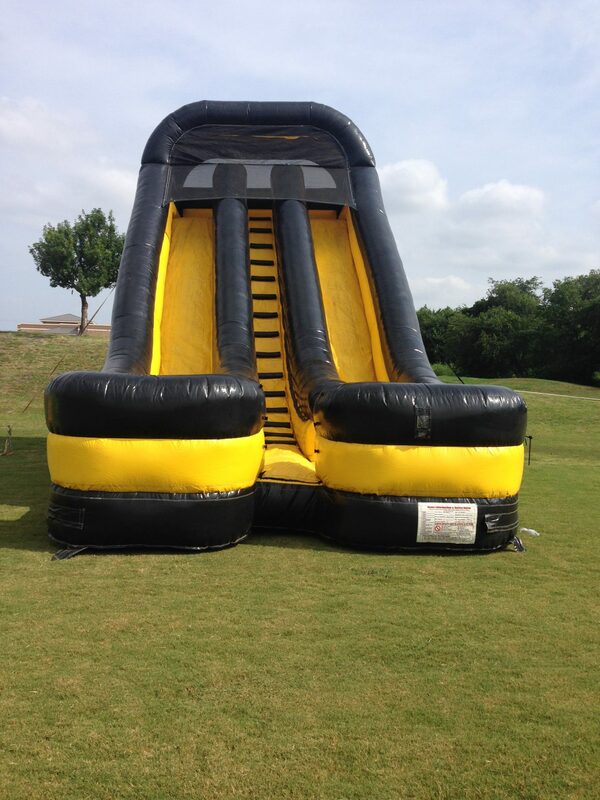 22ft Black & Yellow dual lane inflatable slide with one climbing lane and two slide lanes.